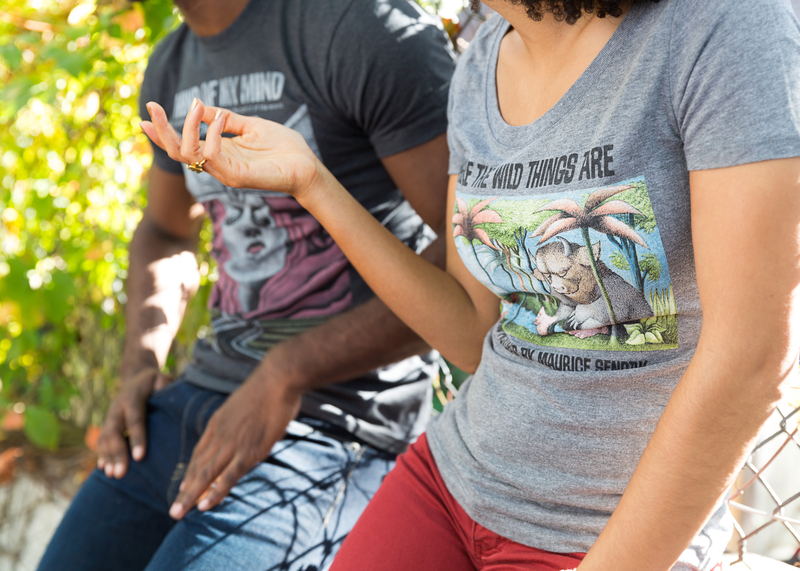 From tees to tote bags (and yes, even onesies), readers can find their favourite book cover, quote, or character depicted on Out of Print‘s clothing and accessories. Todd Lawton co-founded Out of Print with his best friend and business partner, Jeff LeBlanc, in 2010. 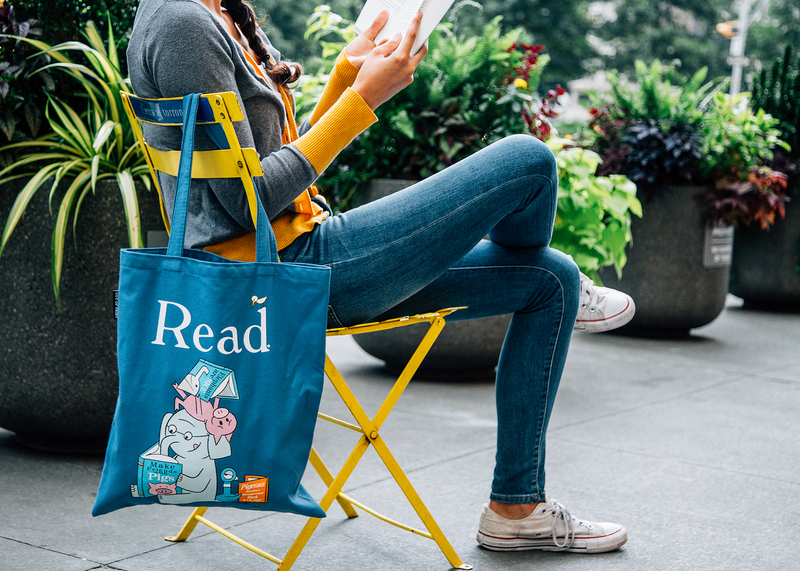 Lawton spoke to Goodreads by phone about turning their need to express their pride as readers into the go-to company for literary-inspired apparel. Goodreads: How did Out of Print come to be? Around 2009, there was also a lot of conversation about what was going to happen to reading as things were going digital. People like us started to realize that there was this nostalgia piece to reading that was really important. We wanted to help readers continue experiencing that physical connection to a book and to the [cover] art that’s the visual bridge between the author’s words and a reader. We didn’t want that to be forgotten. Looking back, a lot of people thought physical books would maybe go by the way of record stores or CDs and LPs. It was an interesting time. For us, it really helped get the brand off the ground. But we also just really loved the process of finding the [cover] art and figuring out the story behind it, and it’s been a surprise for everyone involved—how much enjoyment we get from the research and detective work. Goodreads: How do your designs go from idea to T-shirt? TL: It’s never the same! Early on, we’d just do a gut check on whether we could imagine something on a T-shirt and if it works together with our line. Later, it really turned over to the reading community. We get a lot of requests, keep track of every one, and definitely refer back to that a lot. Sometimes we would take a look at a book cover and how it was interpreted by another culture. That would inspire an interesting [design] that gets people excited about their favorite books in new ways. Other times, we just stumble on it. We were geeking out about this one episode of Portlandia that [had the catchphrase] “Put a bird on it!” Then someone blurted out [in a meeting], “Put a Poe on it!” We turned it into something great for us. But everything [we design] is through the lens of “Can we actually do this?” and then we have to do all the business stuff. I wish I knew how we do it every time, but it always changes. GR: What impact do you think Out of Print has on reading? TL: Our mission is to bring more people into the discussion of books. 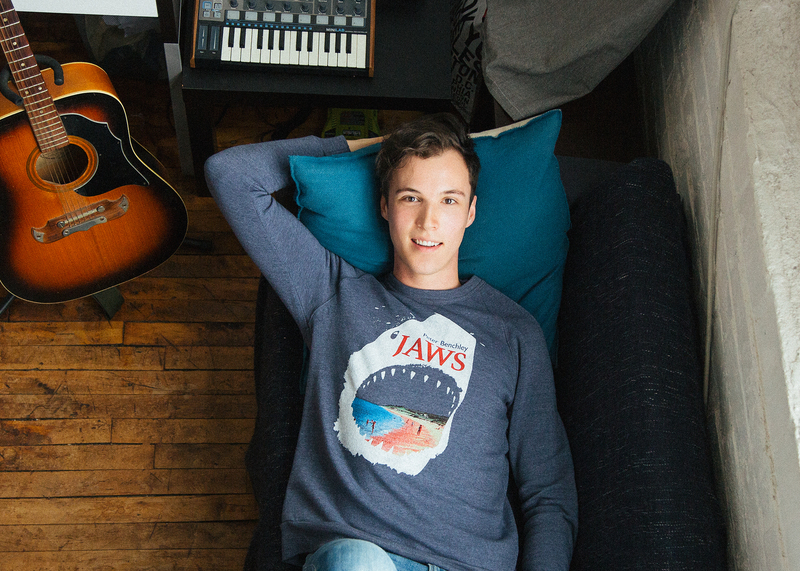 We thought apparel was a big part of that: You make something that connects with readers that’s also cool to wear. So when we try to bring a book title or a quote to life, we want it to make a connection between another reader seeing it or someone who might not be familiar with it, and it starts a conversation. GR: Out of Print has many fans among readers and authors, including Joe Hill. Did you ever think it would get to this point? TL: Not at all! Over time, we hear and see [stories] of people doing things like walking into a bookstore in Spain and seeing an Out of Print shirt, and we’re like, “Really? Wow!” The truth is, there’s a great community of readers and people who really care about books, and seeing how we fit into their lives is a dream come true. Hailing from Minnesota is candlemaking extraordinaire Roxie Lubanovic. Her soy candles are not only inspired by literary characters and settings, but also those particular things that only bibliophiles adore—including the smell of old books. 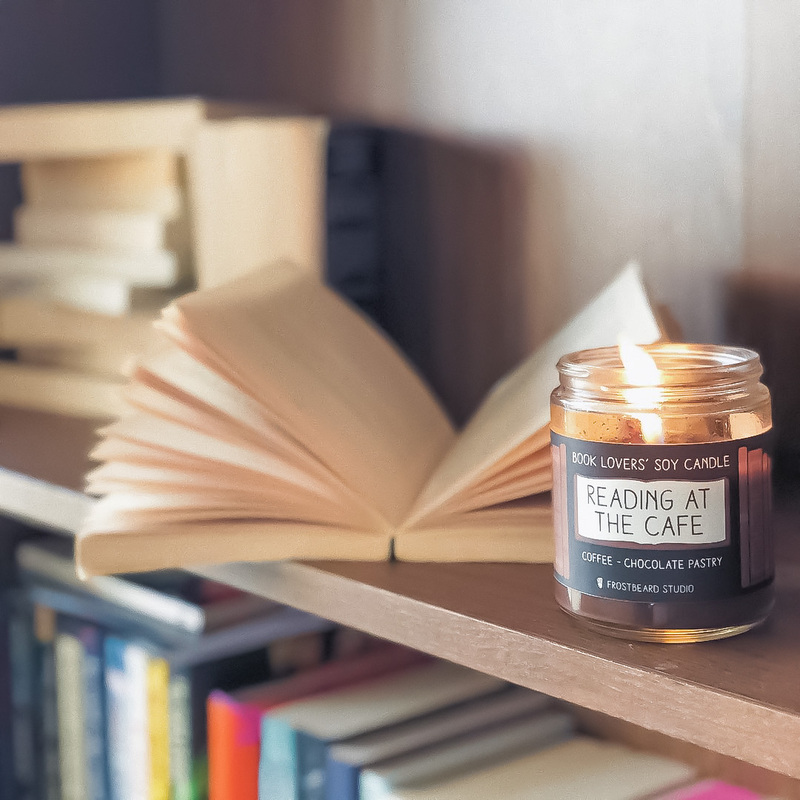 Through email, Lubanovic told us that while her company’s name may be a nod to the chilly weather of her home state, her bookish candles aim to keep readers feeling warm and cozy. Goodreads: How did Frostbeard come to be? Roxie Lubanovic: I started out as many crafters do: making goods in my home and selling at local art fairs and gift shops, then eventually opening an online store. My first bookish candle was created when I wanted my home to smell like a library (as any book nerd can relate), but I searched everywhere for a library-scented candle and couldn’t find one or anything like it. Being a DIYer and having learned candlemaking as a teen, I decided to make my own custom fragrance: Oxford Library. 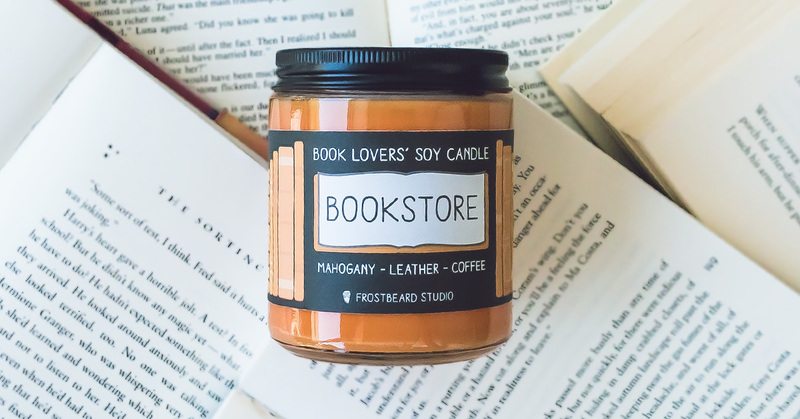 Soon after followed Bookstore, and then all my candles turned book-themed and thus the first bookish candle company was born. Goodreads: How do your candles bring reading to life? RL: Sometimes I base a fragrance on a particular scent I really love—coffee, for example—so I have to brainstorm ideas that would make sense (pun intended) to include a coffee smell. One of my favorite pastimes happens to be perusing indie bookstores with a cup of coffee in hand. I thought about what else a bookstore might smell like—the wooden shelves and leather bindings—which along with coffee are the three main scents in our Bookstore Candle. I also wanted a coffee-dominant scent, so I created Reading at the Cafe (another favorite activity), which is a blend of coffee and chocolate pastries. Other times, I choose a setting or theme from a favorite book and try to re-create it. A Divination Classroom would likely be full of incense and tea leaves. Halfling Hills are clover-filled grassy knolls with hints of pipe tobacco wafting in the breeze. Winter Keep would be snowy and foresty, with bonfires burning on the castle grounds. These are my artistic interpretations and are the most fun to design. RL: Candles and books simply go together. They set the mood in multiple ways, creating a calming atmosphere and setting the scene with their fragrance. The Danish concept of Hygge (and other nations’ similar notions) are so trendy right now because folks need to find ways to unplug and relax, which includes soft, warm candlelight and curling up with a good book. In addition to being cozy, candles based on books can take it one step further. If you read an Arthur Conan Doyle mystery while burning Sherlock’s Study, it’s going to be like you’re right there with the detective. What kind of literary-inspired gifts would you recommend for avid readers? Share your thoughts in the comments! Read my next post tomorrow Literary Inspired Gifts For Book Lovers (Part 2) for scented candles from In the Wick of Time and hand-illustrated wall prints from Obvious State.